Thanks to our coverage partners at DragStory.com and Mark Walter, we present to you the live video feed from the FTI Summer Shootout at US 131 Motorsports Park. The Lucas Oil Drag Racing Series and the North Central Division will roll into Route 66 Raceway July 11-13 for the Burndown At Sundown. This fourth stop on the six-race Divisional series also marks the second consecutive weekend that racers from the “Land of The Winners” will be taking to the track. Every LODRS category races this weekend, and nearly all are in very tight points battles. The Top Alcohol categories present the most shining example, with Troy Coughlin Jr. leading Brandon Greco by 21 points in TAD. Defending Burndown at Sundown winner and North Central Region TAD Champion Marty Thacker is set to turn his season around with strong showing. Rookies Marina Anderson and Matt Sackman are also seeking success Out of division players will also play a significant role in this category. Among them are West Region and TAD National Champion Chris Demke. Demke and the Maddern Racing team have considerable success at this track, with several wins including the 2015 Route 66 Nationals. TACF is no less competitive with Todd Robertson leading Tony Boglio by 11 points. Ray Drew is right behind, 32 points out of the lead. The Hales Corners, WI class veteran is on a hot streak of late, with a runner-up finish at last weekend’s Indianapolis regional, and a national event win at the Summit Racing Equipment Nationals in Norwalk, OH. In the final results from New England Dragway and the NHRA Lucas Oil Drag Racing Series, Randi Lyn Ship, Floyds Knobs, Ind., and local racer, Deborah DiGenova, Derry, N.H., took home the wins in Stock Eliminator and Top Dragster presented by Racing RV’s respectively. Shipp, worked her way through the field and ran 10.548 seconds at 119.12 mph in her final round victory over Howie Smith, Syracuse, N.Y., who clocked in at 11.938 seconds, 106.81 mph. 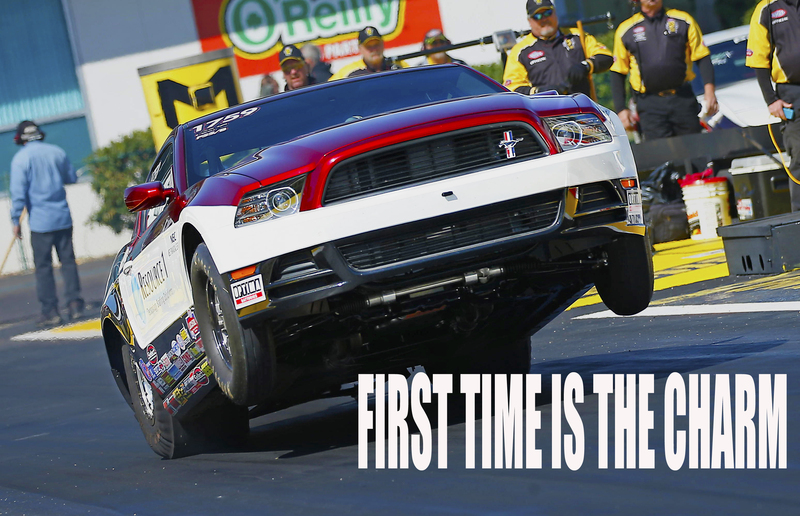 Driving his 2014 Ford Mustang Cobra Jet in Super Stock FSS/B, Anthony Bongiovanni of New Jersey bested the field at Epping Dragway during the NHRA Mello Yello New England Nationals to claim his first national title. 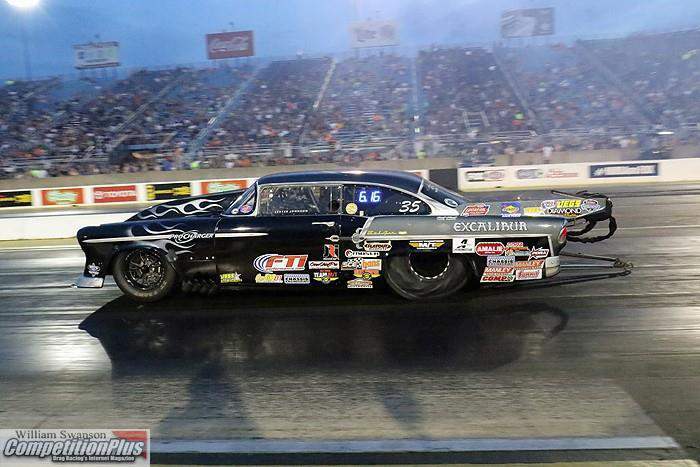 Bongiovanni, a former NHRA national open and Lucas Oil event winner, lasted through six rounds of intense competition, winning races against Mike Letellier, Scott Gove, Scott Albrecht and Tom Boucher in the final. He received one competition bye in Round three. Josh Hart and Steve Burck raced to victory at this weekend’s NHRA Lucas Oil Drag Racing Series and the Summer Spectacle at Lucas Oil Raceway at Indianapolis. Hart took home the honors in Top Alcohol Dragster as Burck ousted the field in Top Alcohol Funny Car. Hart, Ocala, Fla., qualified No. 2 and met up with third generation racer Troy Coughlin Jr., Delaware, Ohio, who was coming off a win at the last Lucas Oil North Central Division event in Norwalk, Ohio. Hart was out first and pulled away for his sixth win running 5.369 seconds at 268.44 mph as Coughlin slowed to a 6.686, 147.86. LIVE VIDEO - WORLD FOOTBRAKE CHALLENGE, BRISTOL, TENN. Thanks to our coverage partners at DragStory.com and Mark Walter, we present to you the live video feed from the World Footbrake Challenge in Bristol, Tenn.
Read more about LIVE VIDEO - WORLD FOOTBRAKE CHALLENGE, BRISTOL, TENN. The Lucas Oil Drag Series, NHRA Northeast Division event concluded at Lebanon Valley Dragway Sunday evening. Winners hoisted their Wally trophies in the air as they celebrated in winner's circle with their teams. Duane Shields, Boulder City, Nev., traveled across the country and took the victory in the Top Alcohol Dragster final round. Shields ran 5.431 seconds, 269.65 mph to outrun Karen Stalba, Hammonton, N.J., who clocked in at 5.992 seconds, 236.67 mph. 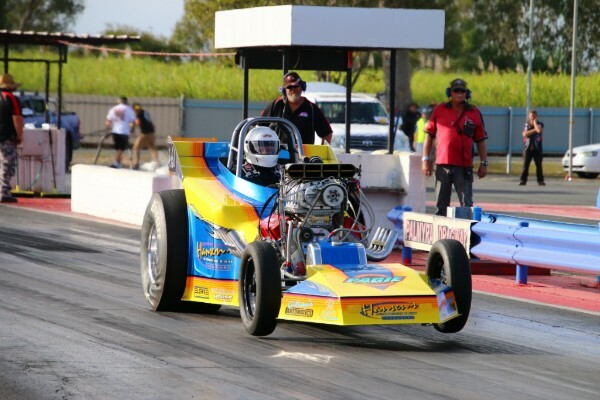 The Palmyra Drag Racing Club played host to a successful running of round two of the 2018 Summit Racing Queensland Championships on the weekend. Claiming the event honours after two great days of on-track action at the Mackay race track were Anthony Walker (Super Street), Matt Halpin (Street Bike), Earl McCallum (Super Sedan), Rodney Hansen (Supercharged Outlaws), Dale Sonogan (Modified/Top Sportsman, Tayla Kelly (Junior Dragster), Sonja Wagensveld (Street) and Laeith Skinner (Modified Bike).